Southern Africa is shaping up to be the hottest destination for hydrocarbon exploration in the world. There’s a huge push to adopt gas as an alternate energy source to coal as a power crisis in the region affects economic growth. To capitalise on the opportunity on hand, a number of oil and gas majors, and juniors, have focused their efforts on the region. Regional license rounds have attracted established East African Rift players to Karoo rift basins. This includes the likes of Tullow Oil (LON: TLW), Total Sa (EPA: FP), ExxonMobil Corp (NYSE: XOM), plus a slew of junior explorers seeking to capitalise on the opportunity at hand. Juniors, including Hardman Resources, which was the subject of a $1.5 billion takeover by Tullow Oil, Heritage Oil Corp and Energy Africa in Uganda, and Africa Oil Corp in Kenya, have moved into these basins that were explored by majors over many years but written off and overlooked. The company I have for you today, also armed with an extensive legacy dataset, is believed to have the largest undrilled seismically defined structure onshore Africa... And could be the largest discovery in 40 years. It’s following a similar path to the successful juniors applying new technology, computing power and knowledge in the overlooked Cabora Bassa Basin. The company is a first mover into this Cabora Bassa portion of the greater Zambezi Valley rift play that extends from Namibia, through Botswana, Zambia and Zimbabwe, and into Mozambique. To date the project has been overlooked, largely because up until recently Zimbabwe was politically isolated so the data has never been in the public domain. But now, the country is open for business with a new government implementing investor friendly reforms. The company is re-evaluating the legacy data utilising the latest seismic processing techniques that have improved significantly since the data was acquired over 25 years ago. It has now received key fast-tracked data for two key lines and the final full dataset for remaining lines in the Cabora Bassa Basin area is due in April, just days from now. Australian investors have a chance to jump on board a likely early mover that is targeting a 850mmboe Resource in the first half of 2019. 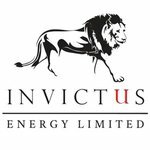 The management team at Invictus Energy Ltd (ASX: IVZ), owner of 80% of the Cabora Bassa Project (SG 4571) in Zimbabwe, isn’t afraid to express its confidence regarding the company’s prospects in 2019. In discussing upcoming developments with managing director Scott Macmillan, it was a bit of a ‘you ain’t seen nothin’ yet’ chat. 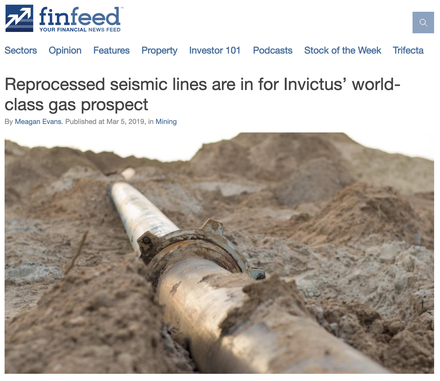 While the establishment of a maiden Independent Prospective Resource Estimate in November 2018 at the project’s Mzarabani prospect — of 3.9Tcf (trillion cubic feet) of gas and 181mmbbl (million barrels of oil), for 850mmboe (million barrels of oil equivalent) — was a major milestone for Invictus, the company has really only dipped its toe in the water. Macmillan is a highly regarded executive in the energy industry with experience in all aspects from exploration and technical work through to construction and development. Here he is presenting at the Good Oil Conference 2018 with a rundown and brief history of the Cabora Bassa Project. Over the last 12 years Macmillan has held prominent roles in large projects, including business advisor in the Global New Ventures group with Woodside Petroleum (ASX: WPL), which focused on exploration in Africa, adding to his intimate knowledge of this region. He has been involved in the best of the best developments, so for him to be extremely upbeat about upcoming exploration speaks volumes. Consequently, the board of directors and management hold a sizeable stake in the company (24%) and are prepared to put their money on the line having participated in the placement last year and buying more share on the market too. All up, the top 20 shareholders hold 43.4% of IVZ shares. So with plenty of skin in the game, investors know that their interests are squarely aligned with those of management, and that they will be working just as hard for shareholders as they are for themselves. The project is also backed by the Zimbabwe Government. Here you can see Zimbabwe President Mnangagwa speaking on his government’s work alongside Invictus. Analysts at Edison Investment Research recently identified 13 wells to watch in the energy space for 2019. 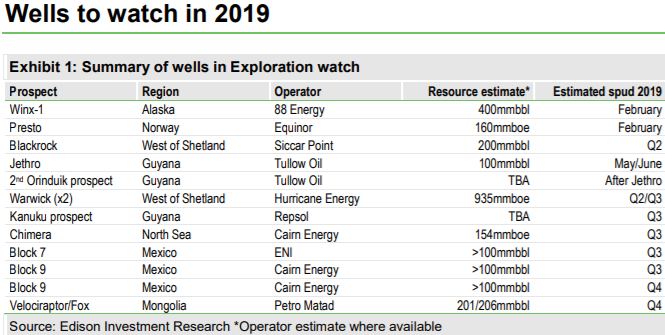 A quick look over Edison’s list and you’ll see that these ‘wells to watch’ wells have resource estimates ranging from 100 million barrels of oil to 935mmboe. Invictus is targeting to add to the already substantial 850mmboe resource in the first half of 2019 at the Mzarabani prospect. Not only would this place it a close second by resource size on Edison’s ‘wells to watch’, but the prospect has been identified as one of the largest targets in the world. Leading independent global oil and gas consulting group, Netherlands Sewell and Associates (NSAI), estimate of the prospect contains 3.9Tcf (trillion cubic standard feet) of natural gas and 181mmbbl of condensate, for the 850mmboe prospective resource, on a gross mean un-risked basis. This is being updated in May 2019, with the original based on only one prospect within the targeted zones of interest. And as a comparison to Woodside Petroleum (ASX: WPL), that’s getting close to the size of WPL’s Pluto Project, which accounts for about $15 billion of the group’s market capitalisation, whereas IVZ is being valued by the market at just $14.8 million. Of course, while WPL’s Pluto LNG project is now up and producing and generating significant cashflow, it does point to the type of value it could create if IVZ is successful with a similar size target. Furthermore, Invictus’ well is onshore, translating to lower costs than comparable offshore projects. However, the real clincher is that the Mzarabani prospect may just be the tip of the iceberg within the broader Cabora Bassa Project. From the outset, Invictus’ strategy has been to re-evaluate an extensive legacy dataset acquired by Mobil utilising the latest seismic processing techniques which have significantly improved since the data was acquired over 25 years ago. This work program has and will continue to provide the group with a much clearer picture of the sub-surface, the Mzarabani prospect and the greater Cabora Bassa Basin area. Management believes that it can apply new and evolved exploration concepts that have been successful in this type of rift basin setting in East Africa and Australia. When Mobil was actively exploring the area it was searching for big oil targets and spent US$30 million acquiring surface and sub-surface data, including gravity surveys and over 1600 line kilometres of 2D seismic data. 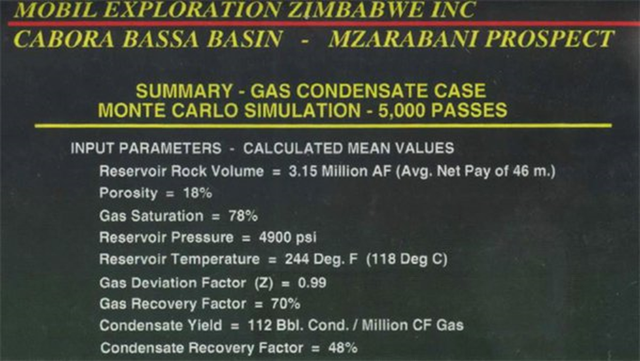 As indicated below, studies determined that the Cabora Bassa Basin had all the required ingredients of a working petroleum system and concluded that the Mzarabani Prospect contained conventional gas-condensate reservoir properties. What this excerpt also tells us is the extensive nature of Mobil’s exploration activities, and it is that bank of research that is proving to be increasingly valuable for IVZ as it employs modern day technologies to deliver potentially discovery defining data. However, Mobil was after oil, not gas. Ironically, the landscape has changed considerably and the majority of countries in Africa are crying out for gas, a situation that is worsening by the day as supply contracts and demand increases. Consequently, Invictus will be entering the market at an ideal time with supply/demand dynamics indicating that prices are likely to climb further. Also of significance, is the fact that the costs of bringing projects into construction in Africa are relatively low, and the logistics of bringing the product to market are favourable. In discussing these dynamics Macmillan pointed to Sasol’s onshore Pande-Temane gas project in Mozambique as an example. The group supplies the vast majority of gas into South Africa, and at current estimates, if Mzarabani is successful it will be a similar sized gas field to Pande-Temane. 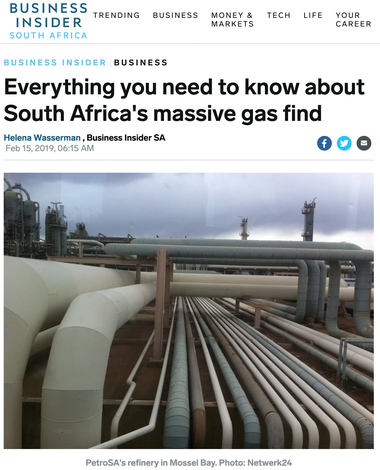 The economics show that with the development and 865 kilometre pipeline that was built down to South Africa, Sasol can produce and get gas into the market at a cost of less than US$2.00 per gigajoule and are selling it for US$6.00 per gigajoule, a healthy margin of 200%. You would be hard-pressed to find any mining or energy project with such an attractive differential between the cost of production and the sales price. Obviously Macmillan wouldn’t be drawn on where prices may be if Cabora Bassa comes into production, but he did say, “The other issue is that with a sole supply from Sasol and greater demand for gas as dictated by South Africa’s updated Energy Policy, the price is only going one way”. There is also significant local demand in Zimbabwe for natural gas as the country was setup as the heartland of the Federation in the pre-independence period and has a substantial industrial and manufacturing base that would benefit from natural gas feedstock. Suffice to say, should Invictus develop a project, selling gas won’t be a worry. When Invictus acquired the Cabora Bassa project the company outlined three near term objectives. Firstly, it needed to re-evaluate legacy data from Mobil’s exploration records which included aeromagnetic gravity data integration and 2D seismic data reprocessing and interpretation. This would assist the company in undertaking modelling of the Cabora Bassa Basin, as well as identifying prospects and making an early stage resource determination. Management has delivered on all of these fronts including the establishment of a maiden prospective resource which I referred to previously. Since then the company has undertaken further seismic data reprocessing and interpretation, fast tracking data for two key lines covering the Mzarabani structure. The reprocessed seismic data enables IVZ to image the subsurface in more detail than ever before. New processing techniques and algorithms along with greatly increased computing power since the 1990s enables the company to do far more with the raw seismic data from the field tapes. As indicated below, this has resulted in a significant improvement in the quality of the imaging of the sub-surface and over the prospect. The results from the reprocessing of the remaining seismic data should underline further upside in the Mzarabani prospect. This news which is due to be released this month has the potential to provide significant share price momentum as it will enable the identification of additional prospects and leads. More specifically, Macmillan said that the two dip lines covering the giant Mzarabani Prospect will enable the company to refine the volumetric estimates of the primary Upper Angwa target as well as quantifying the prospectivity of the horizons above and below in what is described as a ‘massive, stacked prospect’. 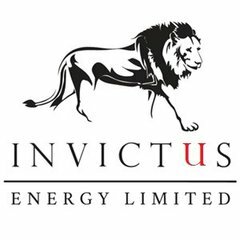 In terms of determining the extent to which this information and upcoming exploration could have on Invictus, the Brulpadda gas-condensate discovery made by Total SA (EPA:FP) off South Africa in February provides a useful insight. It had a pre-drill estimate in a range between 500 million to 1.0 billion barrels of oil equivalent compared with IVZ's maiden prospective resource of 850 million barrels of oil equivalent, making it similar in size. The Total discovery has been labelled a game changer for South Africa and conservative estimates now suggest that the resource is at the upper end of the estimated range with the expectation that it will pump $100 billion into the country’s economy. In commenting on the discovery, chief executive of African New Energies, Stephen Larkin said South Africa has just become the hottest destination for hydrocarbon exploration in the world. His views were shared by Niall Kramer, chief executive of the South African Oil and Gas Alliance (SAOGA) who described it as a ‘catalytic find’. Consequently, Invictus undoubtedly holds a first mover advantage as exploration activity heats up. This will be significant in terms of the company attracting a farm-in partner, as it is very rare for a junior of its size to have such a large equity in a high impact frontier play. The Mzarabani prospect comes ready made to market and IVZ’s 80% equity means there is enough equity to farm out that can get a major or independent interested. As indicated below, many junior explorers have delivered transformational returns from frontier high impact discoveries. That’s because first movers generally score the best acreage. These juniors moved into these basins after they had been explored by majors over many years and written off and overlooked. They applied new understandings of other successful basins and gave new life to old datasets acquired previously by the majors. IVZ is following a similar path to these successful juniors applying new technology, computing power and knowledge in this overlooked Cabora Bassa Basin. Invictus is re-evaluating Mobil’s extensive legacy dataset after Mobil departed in 1994. As the table demonstrates, these discoveries have all been made more recently using new technology and applying lessons learned from discoveries in other basins. 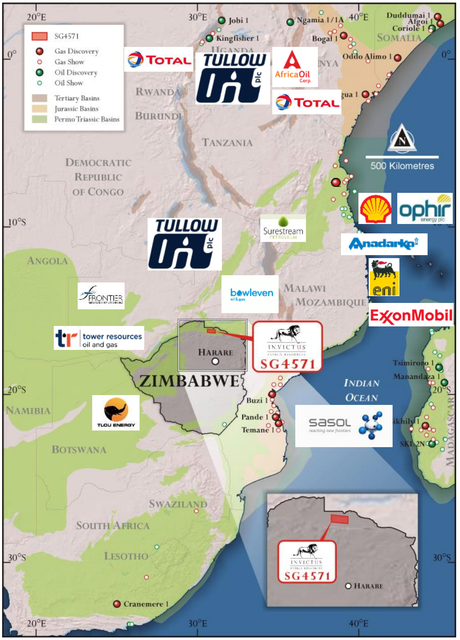 Invictus is following in the footsteps of the likes of Perth-based oil producer Hardman Resources which was the subject of a $1.5 billion takeover by Tullow Oil plc (LON:TLW), a group that is extremely active in Africa as indicated below. You can also see here the location of the Cabora Bassa Project, in relation to the majors’ nearby projects. Step back exactly 20 years to the day and you will see that Hardman Resources was trading exactly where Invictus is today at 4.0 cents per share. 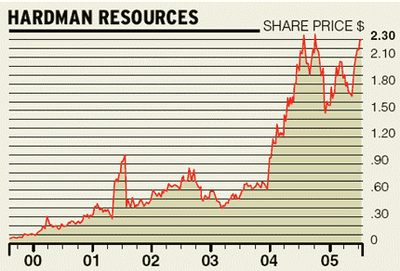 Having acquired valuable acreage in Mauritania, the Hardman’s shares increased 25-fold between 1999 and 2001 largely due to exploration success. In a five-year window, its shares increased 60-fold. This demonstrates that well before the gas comes out of the ground, the share price can start pumping. While Invictus’ share price has mainly been on a downward trend since September 2018, this is largely due to weakness in the oil price, global volatility in equities markets and the fact that the company tends to fly under the radar. With equities markets having recovered and the oil price appearing poised to break above the psychological US$70 per barrel mark that just leaves the need for some recognition of the company’s achievements and the value of its assets. 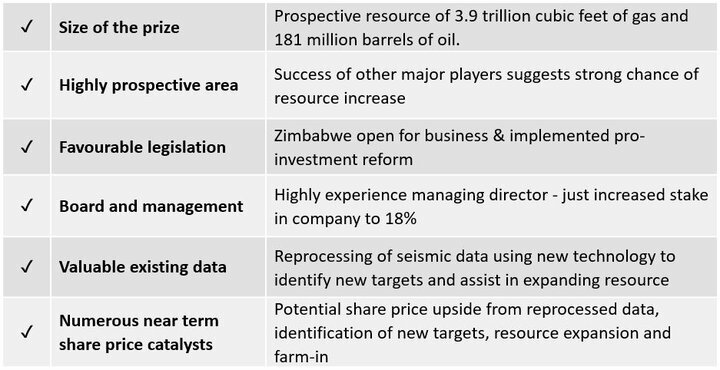 A number of potential share price catalysts are due over the next six months, with some likely as soon as this month when reprocessing and interpretation of seismic data results are released. Expect the company’s data room to be a hive of activity from here on in as the likes of Tullow, Total, ExxonMobil and Sasol do the due diligence ahead of potentially pinching a slice of the pie. Another significant potential catalyst on the horizon is Invictus looking to upgrade its prospective resource estimate in the June quarter. This will be a significant milestone in terms of attracting a farm-in partner, and a share price driver in its own right as it represents an important step in de-risking exploration and potential development. Interestingly, the company’s name means unconquerable or undefeated, and if management is on the mark, it could display these qualities sooner rather than later.